It’s a technical piece that outlines general care of Mesembs and then there is a little blurb unique to each genus. 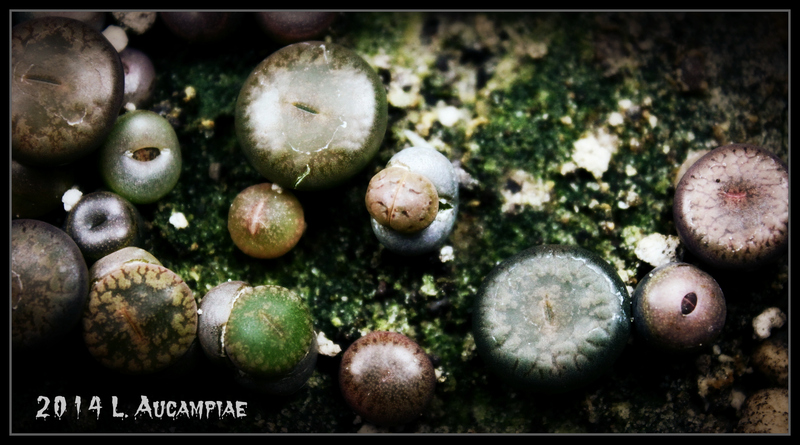 Sadly, this is the most exhaustive article I’ve found on rearing Conophytums – haha! I was particularly interested in the section that discussed substrate and soil mixtures. Steven Hammer recommends something he calls ‘mabel-mix’. It’s essentially 50% loam, 25% course sand, and 25% pumice. He varies the size of the pumice in relation to the size/age of the plant and adds more humus for seedlings. This is an interesting mix and if I could find some loam, I would try it. It’s important to note, as Steven Hammer does in the article, that he lives in an arid climate and the mix might not work as well under humid conditions. Ottawa certainly is humid so it may not be ideal here, but I’d still like to try it. Apparently, Mr. Hammer grows all his Mesembs in mabel-mix. 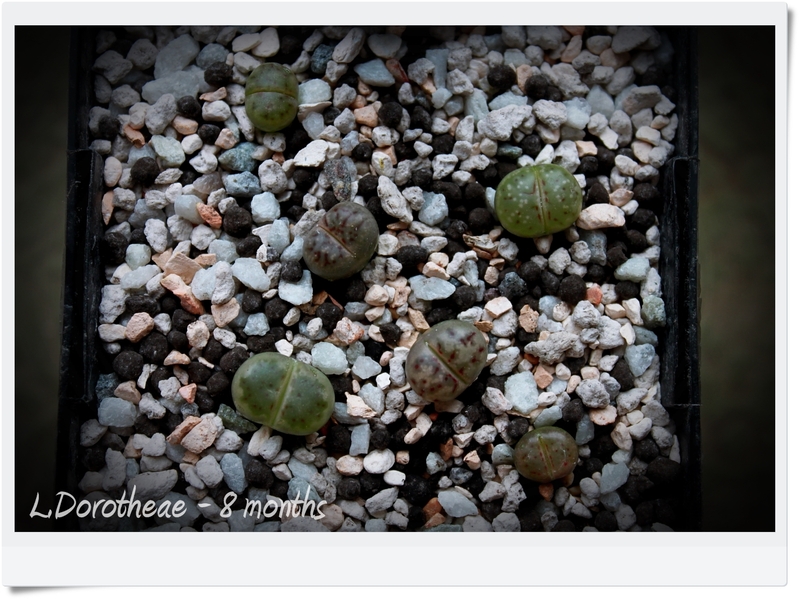 I’ve selected my keepers from the 2014 lot of Dorotheae seedlings. I managed to whittle it down to six! They’ve been assigned ID 2014-004b and I’ll add them to the photo gallery once I’m sure all six are going to make it. They’ve been transplanted into a more suitable substrate for Lithops and any kind of move like this can be stressful on such young plants. Fingers crossed! Edit: The substrate I used for these seedlings is Pumice, Quartz (chicken grit #2), Diatomaceous Earth, and Volcanic Soil at a ratio of 1:1:1:1.